Over the years, the Brattleboro Music Center’s performance groups have offered so many memorable musical moments. Audiences have come to expect concerts and performances that move and inspire them. 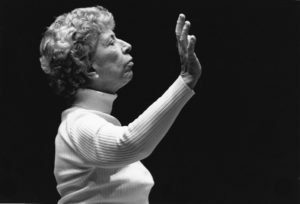 The Blanche Moyse Chorale was founded in 1978 by Blanche Moyse as a chamber choir which focused primarily on the Church Cantatas and other choral works of J.S. Bach, and was showcased in the annual New England Bach Festival, as well as in other concert settings. Under the leadership of Artistic Director Mary Westbrook-Geha, the Chorale has expanded on its beloved Bach background, now exploring an ever-widening range of repertoire with a fresh commitment to the highest level of choral excellence, precision and beauty of tone. 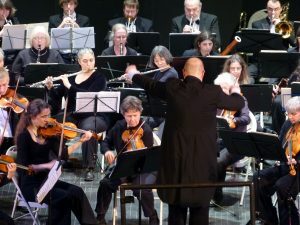 The Windham Orchestra features local musicians and composers who take pride in its history of providing symphonic music to Southeastern Vermont and its commitment to keeping classical music vital and building future audiences. The Orchestra not only performs live orchestral music in Brattleboro and surrounding towns, providing performance opportunities for musicians of all backgrounds, it also educates local schoolchildren in much-anticipated public and in-school programs. 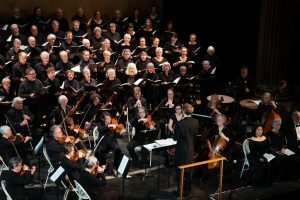 The Brattleboro Concert Choir performs an exciting and challenging repertoire, ranging from classic choral masterpieces to rarely heard or newly commissioned works. 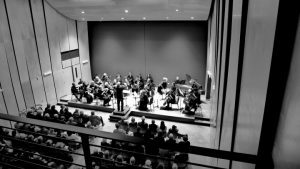 Its far-ranging and adventurous programming involves innovative collaborations and presentations, and presents dynamic concerts to packed audiences twice yearly. In residence for the 2018-19 season, the Juno Orchestra is Vermont’s newest professional chamber orchestra, engaging musicians from the tri-state area surrounding Brattleboro, a small, startlingly vibrant arts community. 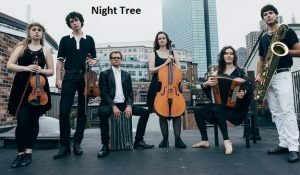 The convergence of a number of felicitous events (secure funding, new performance venue, and planning time) created a particular moment for the Juno Orchestra Project to flourish. 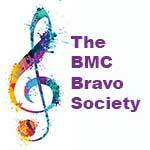 The Orchestra is pleased indeed to find a home at the BMC this year. Season Guest Concerts offer a wonderful variety of artists and performance groups. Our BMC community members should check this site regularly for news about features Season Guests concerts, and make plans to join us for what is sure to be a wonderful, magical, musical mix of talent.